This year 2019 is very significant and important for us friars as we celebrate the 8th centenary of our Holy Father Francis’ encounter with the sultan in 1219. In commemoration of this great dialogue, Br. 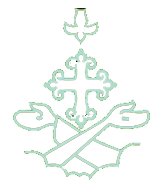 Michael Perry, the Minister General has called for a special chapter of the solemnly professed friars under ten years (SPUTY), under the theme, “friars in Dialogue” to see, judge and act, which will be held in Taize, France from 7th to 14th July 2019. In preparation for this chapter, every entity of the Order is mandated to have a pre-chapter. This pre-chapter for the three entities of our Province in India was convoked by Br. Praveen Henry D Souza, the Minister Provincial and organised by the Council for Ongoing Formation in Palamaner. There were 26 young friars who participated in this pre-chapter from all the three entities. The Pre-Chapter commenced at 6 pm on 27th November 2018 with invocation of God’s blessings through a hymn and lighting of the lamp. In the inaugural address, Br. 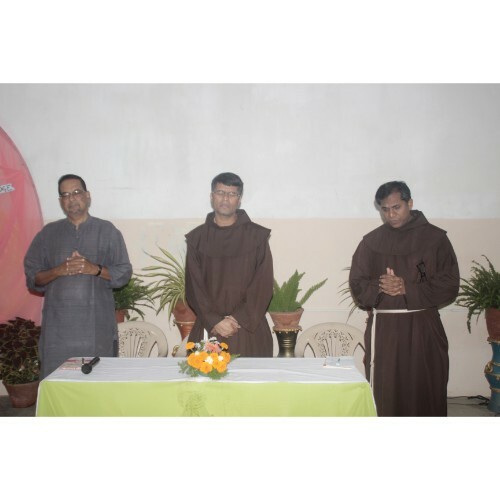 Praveen, the Minister Provincial introduced the theme and significance of the under ten chapter of the Order and stated that the aim of this Pre-Chapter is “to see” and he announced the names of the three young friars viz., Brs. Stephen Lamin, Joseph Stephen and Roshan Toppo, who are chosen to represent our entities in the under ten chapter at Taize. Thus, he declared the Chapter open. 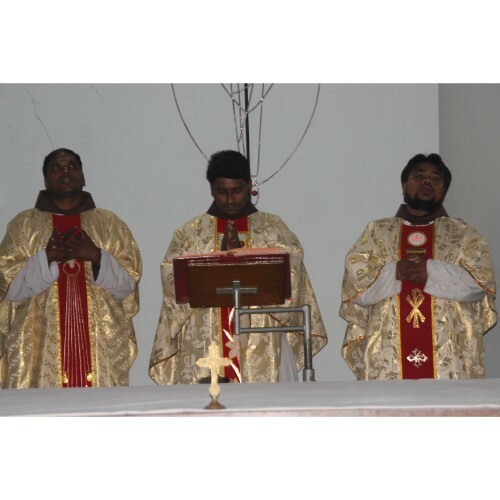 On 28th November 2018, during the holy mass which Br Praveen presided over, he preached on how people are taught to hate others and how we need to see others as God sees and thus enter into dialogue with people of other faiths and cultures. Later, during the sessions, Br. Robin Daniel OFM Cap., presented the historical background to this dialogue. It was a time of expansion of Islam and the Christian holy sites were occupied by the Muslims. The popes were waging crusades to reclaim the holy sites. Powerful preachers were commissioned by the church to preach in favour of crusades, to incite people for war, plenty of indulgences were given and the IV Lateran council also encouraged the V crusade. During this crusade Francis went to Sultan and dialogued with him. And this was supported by what the Franciscan sources say about this great encounter. The second session was focused on the outcome of Francis’ meeting with the Sultan. Francis’ approach towards the Saracens was a dialogue of fraternity. The journey from Damietta to La Verna reflected how through the crib at Greccio Francis recreated the sacred space and holy land right where he was and Francis’ reception of the stigmata became the Franciscan Calvary which depicted that there was no need to go to war to take possession of Calvary. The third session elaborated on the effects of dialogue in our life. The Franciscan charism rests on fraternity and minority. Fraternity is nurtured through communication, sharing and dialogue. It is a spirituality of communion, sharing community apostolate with service of authority and brotherly correction. The elements that facilitate dialogue in fraternity are communication, team-work, mutual support, flexibility and subsidiarity. The elements that hinder dialogue in fraternity are immovability, not just in place but in mentality, personal economic power, reification, masked existence and coexistence (which is useless and pro-existence is needed). Speaking on Dialogue in Mission, Br. Robin Daniel said that mission must be characterised by spirituality of fraternity. Relating with only the rich and powerful is social isolation. Francis did not look at the poor as an object of aid. His dialogue with the poor was in terms of humanisation, physical solidarity. The second day began with the screening of a documentary video clip, “Francis and Sultan” a historical event by Br Amaldass M. and the young friars shared their observations and lights received after watching the documentary. Br Charles Arulanandam then shared with the young friars how Francis was constantly in dialogue. When the pope commissioned Francis to preach peace and penance, he was faithful to it and only through dialogue. And he highlighted four aspects of dialogue: 1) Inspiration of the Lord, 2) humility towards others, 3) forgiving the harm done and 4) openness to the truth. Based on the inputs given, the young friars were given five questions to discuss in groups on 1) personal experience of dialogue, 2) possibilities of dialogue, 3) practice of dialogue in fraternities and 4) possibilities that enhance and hinder dialogue. 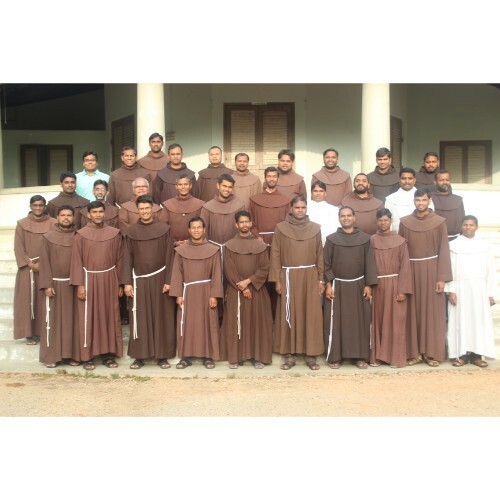 In the afternoon session, the concluding statement prepared by the three friars along with friars Prashanth and Ranjith was presented and suggestions were taken after which Br Praveen addressed the Chapter and declared it closed. He thanked everyone and said, quoting APJ Abdul Kalam, that success could only come to us by courageous devotion to the task in front of us… until we changed our thinking, we would keep recycling the same thinking. He reminded us that as young and energetic, we had a plenty of possibilities, opportunities which should not be resisted leaving the future at stake on the other hand we should embrace them with positive and courageous spirit.